1. “Keep silence before Me, O coastlands, And let the people renew their strength! Let them come near, then let them speak; Let us come near together for judgment. 2. “Who raised up one from the east? Who in righteousness called him to His feet? Who gave the nations before him, And made him rule over kings? Who gave them as the dust to his sword, As driven stubble to his bow? 3. Who pursued them, and passed safely By the way that he had not gone with his feet? 5. The coastlands saw it and feared, The ends of the earth were afraid; They drew near and came. 7. So the craftsman encouraged the goldsmith; He who smooths with the hammer inspired him who strikes the anvil, Saying, “It is ready for the soldering”; Then he fastened it with pegs, That it might not totter. 8. “But you, Israel, are My servant, Jacob whom I have chosen, The descendants of Abraham My friend. 11. “Behold, all those who were incensed against you Shall be ashamed and disgraced; They shall be as nothing, And those who strive with you shall perish. 12. You shall seek them and not find them–Those who contended with you. Those who war against you Shall be as nothing, As a nonexistent thing. 14. “Fear not, you worm Jacob, You men of Israel! I will help you,” says the LORD And your Redeemer, the Holy One of Israel. 15. “Behold, I will make you into a new threshing sledge with sharp teeth; You shall thresh the mountains and beat them small, And make the hills like chaff. 16. You shall winnow them, the wind shall carry them away, And the whirlwind shall scatter them; You shall rejoice in the LORD, And glory in the Holy One of Israel. 17. “The poor and needy seek water, but there is none, Their tongues fail for thirst. I, the LORD, will hear them; I, the God of Israel, will not forsake them. 18. I will open rivers in desolate heights, And fountains in the midst of the valleys; I will make the wilderness a pool of water, And the dry land springs of water. 20. That they may see and know, And consider and understand together, That the hand of the LORD has done this, And the Holy One of Israel has created it. 21. “Present your case,” says the LORD. “Bring forth your strong reasons,” says the King of Jacob. 22. “Let them bring forth and show us what will happen; Let them show the former things, what they were, That we may consider them, And know the latter end of them; Or declare to us things to come. 23. Show the things that are to come hereafter, That we may know that you are gods; Yes, do good or do evil, That we may be dismayed and see it together. 24. Indeed you are nothing, And your work is nothing; He who chooses you is an abomination. 25. “I have raised up one from the north, And he shall come; From the rising of the sun he shall call on My name; And he shall come against princes as though mortar, As the potter treads clay. 26. Who has declared from the beginning, that we may know? And former times, that we may say, “He is righteous’? Surely there is no one who shows, Surely there is no one who declares, Surely there is no one who hears your words. 27. 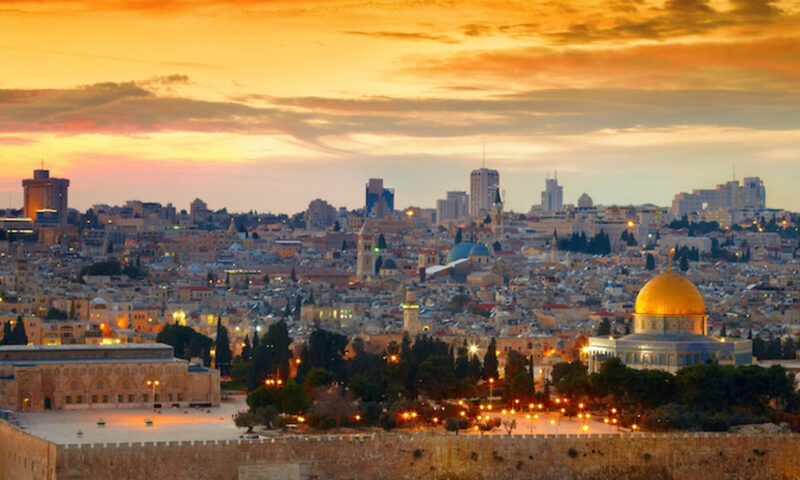 The first time I said to Zion, “Look, there they are!’ And I will give to Jerusalem one who brings good tidings. 28. For I looked, and there was no man; I looked among them, but there was no counselor, Who, when I asked of them, could answer a word. 29. Indeed they are all worthless; Their works are nothing; Their molded images are wind and confusion. 1. “Comfort, yes, comfort My people!” Says your God. 3. The voice of one crying in the wilderness: “Prepare the way of the LORD; Make straight in the desert A highway for our God. 6. The voice said, “Cry out!” And he said, “What shall I cry?All flesh is grass, And all its loveliness is like the flower of the field. 7. The grass withers, the flower fades, Because the breath of the LORD blows upon it; Surely the people are grass. 10. Behold, the Lord GOD shall come with a strong hand, And His arm shall rule for Him; Behold, His reward is with Him, And His work before Him. 11. He will feed His flock like a shepherd; He will gather the lambs with His arm, And carry them in His bosom, And gently lead those who are with young. 12. Who has measured the waters in the hollow of His hand, Measured heaven with a span And calculated the dust of the earth in a measure? Weighed the mountains in scales And the hills in a balance? 13. Who has directed the Spirit of the LORD, Or as His counselor has taught Him? 14. With whom did He take counsel, and who instructed Him, And taught Him in the path of justice? Who taught Him knowledge, And showed Him the way of understanding? 15. Behold, the nations are as a drop in a bucket, And are counted as the small dust on the scales; Look, He lifts up the isles as a very little thing. 16. And Lebanon is not sufficient to burn, Nor its beasts sufficient for a burnt offering. 17. All nations before Him are as nothing, And they are counted by Him less than nothing and worthless. 18. To whom then will you liken God? Or what likeness will you compare to Him? 19. The workman molds an image, The goldsmith overspreads it with gold, And the silversmith casts silver chains. 20. Whoever is too impoverished for such a contribution Chooses a tree that will not rot; He seeks for himself a skillful workman To prepare a carved image that will not totter. 21. Have you not known? Have you not heard? Has it not been told you from the beginning? Have you not understood from the foundations of the earth? 22. It is He who sits above the circle of the earth, And its inhabitants are like grasshoppers, Who stretches out the heavens like a curtain, And spreads them out like a tent to dwell in. 23. He brings the princes to nothing; He makes the judges of the earth useless. 24. Scarcely shall they be planted, Scarcely shall they be sown, Scarcely shall their stock take root in the earth, When He will also blow on them, And they will wither, And the whirlwind will take them away like stubble. 25. “To whom then will you liken Me, Or to whom shall I be equal?” says the Holy One. 26. Lift up your eyes on high, And see who has created these things, Who brings out their host by number; He calls them all by name, By the greatness of His might And the strength of His power; Not one is missing. 27. Why do you say, O Jacob, And speak, O Israel: “My way is hidden from the LORD, And my just claim is passed over by my God”? 31. But those who wait on the LORD Shall renew their strength; They shall mount up with wings like eagles, They shall run and not be weary, They shall walk and not faint. 2. And Hezekiah was pleased with them, and showed them the house of his treasures–the silver and gold, the spices and precious ointment, and all his armory–all that was found among his treasures. There was nothing in his house or in all his dominion that Hezekiah did not show them. 6. “Behold, the days are coming when all that is in your house, and what your fathers have accumulated until this day, shall be carried to Babylon; nothing shall be left,’ says the LORD. 3. and said, “Remember now, O LORD, I pray, how I have walked before You in truth and with a loyal heart, and have done what is good in Your sight.” And Hezekiah wept bitterly. 5. “Go and tell Hezekiah, “Thus says the LORD, the God of David your father: “I have heard your prayer, I have seen your tears; surely I will add to your days fifteen years. 8. Behold, I will bring the shadow on the sundial, which has gone down with the sun on the sundial of Ahaz, ten degrees backward.” So the sun returned ten degrees on the dial by which it had gone down. 11. I said, “I shall not see Yah, The LORD in the land of the living; I shall observe man no more among the inhabitants of the world. 12. My life span is gone, Taken from me like a shepherd’s tent; I have cut off my life like a weaver. He cuts me off from the loom; From day until night You make an end of me. 13. I have considered until morning–Like a lion, So He breaks all my bones; From day until night You make an end of me. 15. “What shall I say? He has both spoken to me, And He Himself has done it. I shall walk carefully all my years In the bitterness of my soul. 2. Then the king of Assyria sent the Rabshakeh with a great army from Lachish to King Hezekiah at Jerusalem. And he stood by the aqueduct from the upper pool, on the highway to the Fuller’s Field. 4. Then the Rabshakeh said to them, “Say now to Hezekiah, “Thus says the great king, the king of Assyria: “What confidence is this in which you trust? 8. Now therefore, I urge you, give a pledge to my master the king of Assyria, and I will give you two thousand horses–if you are able on your part to put riders on them! 9. How then will you repel one captain of the least of my master’s servants, and put your trust in Egypt for chariots and horsemen? 13. Then the Rabshakeh stood and called out with a loud voice in Hebrew, and said, “Hear the words of the great king, the king of Assyria! 18. Beware lest Hezekiah persuade you, saying, “The LORD will deliver us.” Has any one of the gods of the nations delivered its land from the hand of the king of Assyria? 10. “Now I will rise,” says the LORD; “Now I will be exalted, Now I will lift Myself up. 24. And the inhabitant will not say, “I am sick”; The people who dwell in it will be forgiven their iniquity. 1. Behold, a king will reign in righteousness, And princes will rule with justice. 2. A man will be as a hiding place from the wind, And a cover from the tempest, As rivers of water in a dry place, As the shadow of a great rock in a weary land. 3. The eyes of those who see will not be dim, And the ears of those who hear will listen. 4. Also the heart of the rash will understand knowledge, And the tongue of the stammerers will be ready to speak plainly. 6. For the foolish person will speak foolishness, And his heart will work iniquity: To practice ungodliness, To utter error against the LORD, To keep the hungry unsatisfied, And he will cause the drink of the thirsty to fail. 7. Also the schemes of the schemer are evil; He devises wicked plans To destroy the poor with lying words, Even when the needy speaks justice. 8. But a generous man devises generous things, And by generosity he shall stand. 9. Rise up, you women who are at ease, Hear my voice; You complacent daughters, Give ear to my speech. 10. In a year and some days You will be troubled, you complacent women; For the vintage will fail, The gathering will not come. 11. Tremble, you women who are at ease; Be troubled, you complacent ones; Strip yourselves, make yourselves bare, And gird sackcloth on your waists. 12. People shall mourn upon their breasts For the pleasant fields, for the fruitful vine. 15. Until the Spirit is poured upon us from on high, And the wilderness becomes a fruitful field, And the fruitful field is counted as a forest. 16. Then justice will dwell in the wilderness, And righteousness remain in the fruitful field. 17. The work of righteousness will be peace, And the effect of righteousness, quietness and assurance forever. 19. Though hail comes down on the forest, And the city is brought low in humiliation. 20. Blessed are you who sow beside all waters, Who send out freely the feet of the ox and the donkey.